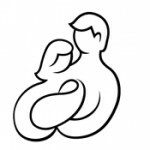 HypnoBirthing®, The Mongan Method, is considered the “Gold Standard” of birthing with hypnosis. It is a childbirth education method that empowers women to achieve easier, more comfortable births. It is both a philosophy and a set of tools for using self-hypnosis techniques and scripts to achieve a focused awareness and level of relaxation that allows for a much more comfortable, easy birth. With HypnoBirthing you will not be in a trance or sleep state. You will be aware and fully in control, but profoundly relaxed. Research published in the Journal of Prenatal and Perinatal Psychology and Health shows that HypnoBirthing mothers experienced: fewer medical inductions; less use of IV fluids; less continuous fetal monitoring; less Pitocin infusion; fewer artificial rupture of membranes; fewer IV/IM anesthesias; fewer episiotomies; fewer epidural anesthesias; fewer Caesarian sections; and use of a wider variety of birthing positions than mothers who did not use HypnoBirthing. Although Lori Nicholson is a huge fan of HypnoBirthing, she is no longer teaching it and is no longer a Faculty Member of HypnoBirthing International (HBI). If you would like to take a HypnoBirthing class, please click here and enter your information for a list of Educators near you. If you would like to become a HypnoBirthing Educator, please click here for additional information about training requirements and upcoming training courses. Would you like two amazing pregnancy and birthing resources? Lori has created two comprehensive presentations: one about the development of the baby’s microbiome; and the other, an overview of evidence-based care throughout pregnancy and birth. Click here to get access to these must-have resources!